Welcome to the final chapter of the Noughtie series! This is part 22 of 22. But this listing is longer than all the other 21 parts combined. Why? Because I'm going to talk about one song at a time, and explain its impact on the decade. I'm going to say why I chose each song to represent the decade. The hundred songs I'm about to go through, if none of them existed, the decade wouldn't have been as impactful. That doesn't mean better, but it wouldn't have been as relevant. So these songs, are all important. Some are rock, some a metal. Some are alternative rap and dance. But they're all important. And they've all had different amounts of success. I don't like all the songs. But I'd be silly if I didn't mention them. They weren't all #1 hits. Some didn't even chart in the UK. But I believe that somewhere down the line, these 100 songs have had a significant impact on the decade and deserve to be raised and praised. That's my job. I just hope that you all agree! So to emphasise, I don't like all of these songs. You, won't like all of these songs. But chances are, you will have heard them, or at least if you're a fan of that particular genre. For instance, if you like your metal, you will have heard all the metal songs in this list, and if not, where have you been? Same applies to the indie fans out there. Let's just get to the list. So it's one song per day, for the next one hundred days. Here's #100. 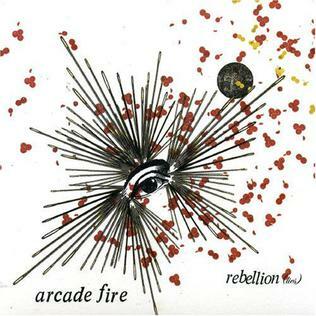 I don't like Arcade Fire. I don't rate them. But it would be silly of me to talk about the last decade in music without mentioning them. They had a mini-Radiohead-esque impact on the decade. By that I mean every album that this band has released, has been met to critical acclaim. Their album sales have been decent too. Yet... their singles aren't prominent. Their singles don't penetrate the charts. Their songs aren't often played. But if there was one song that had to be chosen in terms of popularity and impact, it's Rebellion (Lies). Okay, this song hasn't got any major accolades of any kind. I don't think many metal songs will do. This is probably the most debatable entry in the entire list, as it barely charted. But I do believe this song is important. It's important for the band. It kick started their rise to mainstream popularity. This song also is played in many metal clubs now, it's become a cult hit really. I can see this song being played a lot in the next ten years, not on the radios, but in clubs. It's a really good metal anthem and I believe MSI will continue to get more popular in the next decade, and this is the sign of things to come. I could be wrong though, and this song may (unfortunately) be forgotten. We'll see! That's a lot of appearances of this song in the media. Video games and TV series' galore. I told you before, it's that riff. It's just fantastic, it stands out so much. 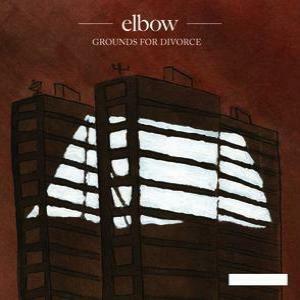 Elbow have finally stepped out of their shell in recent years, with this song being one of the reasons. The other reason is later on in this listing. But Elbow seem to be evolving in the mainstream charts, and I can see them continuing in this vein of form when they relase more new material. "Grounds for Divorce" is a fantastic song and it was also the one that started to turn heads... finally. It's funny as I'm counting down this list how many accolades the songs win. I didn't plan this list accolade wise, but it's nice to see the songs I'm choosing being respected by the music press and peers. It means I'm doing my job properly. Anyway, this song won a lot more awards for its music video, but I'm not including music video accolades, purely the song as a single. But to be fair, it won a damn good amount in that respect as well. The Kill was the song that started to get Jared Leto's second career moving. An actor by trade, he tried his talents in music and this was the breakthrough single. The video, homage to The Shining, definitely helped. I personally can't stand this band or this song, but kudos, it won a lot and easily justifies its place in this list. Wow. That's a lot of appearances. It's the most so far in this list. But no accolades. What a shame. Obviously I put it at #1 in my personal list but thats not an accolade, I'm a freelance journalist. 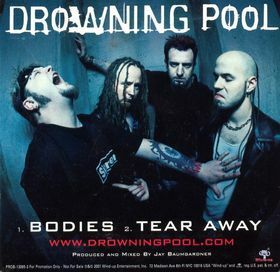 But regardless of no accolades to its name, "Bodies" was a phenomenal metal anthem. The song has been used in psychological operations too due to its heavy metal and its arguably controversial lyrics ("Let the bodies hit the floor") but it's also been used as a motivational song for armed forces. Either way it's a song that really pumps up blood and adrenalyn and sounds fantastic. It's easily one of the most important heavy metal songs of the decade. Although lacking in accolades and appearances, this song was a major breakthrough hit for Florence. It just missed out in the Top 10 and considering the style of song, with its folk and seventies glam inspirations, it's not a song that you'd expect to chart that well. But Florence's name was growing and her music was being played more. This coincided with that rise in popularity and the song became her sown seeds growing. It's a great song as well, and I think it will be remembered well going into the next decade as Florence's first hit. Yes the French like "Sing". I'm not surprised to be honest as it's a lovely song. I mean it's not my cup of tea but I can tolerate it when it comes on the radio. And that it does. It's still a very significant song in music, a modern rock classic to be honest. It's the song that Travis will always be known for, and the video as well is very famous. It was a hit in many different countries and definitely deserves a mention in this list. I'm surprised it hasn't won any accolades of any kind as it's the kind of song you'd expect to see on many listings. Maybe people associate it with the nineties, I don't know. This is paying homage to rock and metal, but I'm putting in dance and rap tracks that fit in with an alternative audience. So that's why Jay-Z gets the nod here. This song is an instant rap classic. 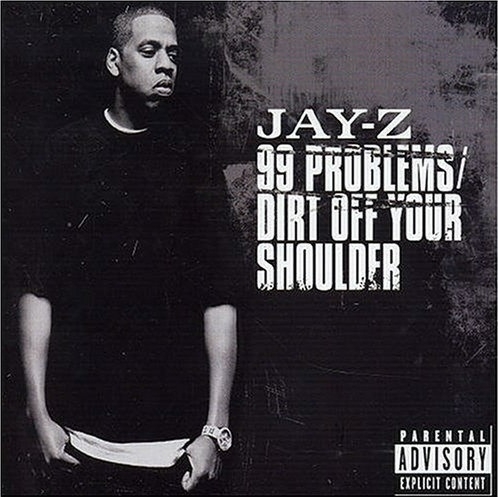 The song is so well received that when Jay-Z did Glastonbury four years after the song's release, it actually re-emerged in the UK Charts (it got to #35). It says it all really. The video also is fantastic. It's possibly Jay-Z highlight moment, although there are a few other songs that people can debate with. Big kudos to Jay-Z with this song. It's started to become a bit of a forgotten song recently, but there was a time when Athlete were considered to be one of England's best new prospects on the indie scene. "Wires" has since become a song that still gets played quite regularly, but has got the repuation of being a song that people know, but can't remember the name of the band. It's only been five years yet this song has a late nineties feel to it, and will continue to play, obscurely, into the next decade. I'm certainly not surprised this song charted as fantastically as it did in Norway, they like their metal and while this isn't a metal track per se, it's a kickass hard rock song that sounds fantastic. It's probably going to be their most well known song, I can't see them beating this. The song is as perfect as a hard rock song can be, it's got a great riff courtesy of Slash, Scott Weiland's vocals sound great, and the video has hot women in it. What else do you need? It's a great hard rock song, one that really will be considered a highlight of the decade in this genre of music. To view the winner, click here. To view my methods and explanations, click here. To view a full archived stats index of the songs listed, click here.